When Damien was seventeen, he started a part time summer job at the suggestion of a friend’s mom, who thought he needed more direction in his life. Although he always had a passion for the outdoors, he never thought that he could make a career out of something that he loved so much. Seventeen years later, Damien is driven by his passion to continue exploring creative methods to engage others in appreciating this rare gem we call Earth.  His desire to pay it forward is exemplified through the creation of Expedition Old Growth where others are allowed to experience the world through adventure, conservation and awareness with a particular focus on our forests and the habitat contained within. Damien is a Certified Arborist, ISA-Qualified Tree Risk Assessor and the owner of Oregon Tree Care, a unique company focused on tree preservation in one of Arboriculture’s premier locations. He takes pride in precision, skill, and community development through his work and philanthropic ventures. He currently resides on the Board of Directors for a local group, Ascending The Giants and is co-chair of the PNW-ISA committee for the local and regional tree climbing championships. When he is not “going out on a limb” in the local communities, he is out enjoying it. Damien is an avid rock climber, having climbed on three continents, has hiked the Swiss and Italian Alps and enjoys adventure canyoning. His adventurous lifestyle and passion for the outdoors is contagious. ​​Matthew William Beatty is a Certified Arborist and ISA-Qualified Tree Risk Assessor, born and raised in the Carolinian forest region of Ontario’s Lake Erie North Shore. He applies his degree in Environmental Horticulture to a career in managing the urban forest of the Greater Vancouver region. As an Arboriculturist and professional tree climber, some of Matthew’s daily professional duties include tree risk assessments, ornamental pruning, hazard tree maintenance/removal, integrated pest management, soil management, and installation of tree-support systems. As a canopy access specialist, Matthew is also dedicated to exploring the diverse ecological systems sustained in canopies of old forests, and for years has facilitated climbs with researchers and enthusiasts with related intentions. He is the Arborist representative for the British Columbia Big Tree Registry, and continues to work in collaboration with other big tree specialists and organizations, such as Ancient Forest Alliance, who share the common interest of advancing old-growth protection and education. Matthew has been an asset to our Expedition Old Growth team in his quest and motivation to expose the importance of the endangered, unique and breath-taking environments associated with ancient forests. Logan's love of trees started at a young age, you could even say it was in his blood. As a third generation Arborist he grew up among tree workers and the forest they cared for. He has cared for his client's trees for over ten years. Logan admires the quiet grace and peaceful resilience of trees. In the spirit of giving back to the Arborist community that has helped him thrive, Logan volunteers at the Hoyt Arboretum giving walking tours and at the regional PNW-ISA tree climbing competitions. Logan is highly educated as a tree care practitioner, holding an Associates Degree in Arboriculture, distinguished as a Board Certified Master Arborist, Certified Tree Care Safety Professional, and First Aid / CPR trained. Getting people up into the canopy of trees to explore the forest in a way that only professional Arborists can do is a rare opportunity that Logan is grateful to provide. Yet another way to pass along his personal upbringing that created his own passion to hopefully start a new generation of tree care professionals.